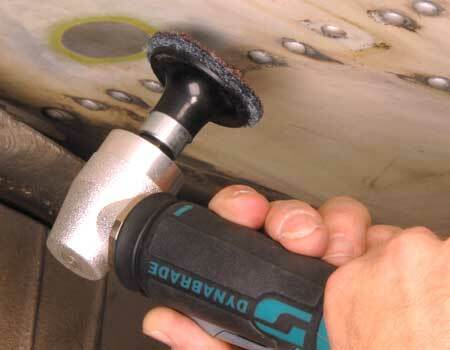 Dynabrade Inc., presents an incredible variety of pneumatic tools for use in the aerospace industry. Providing countless application solutions, these top-quality tools reduce production time as they improve your final product! 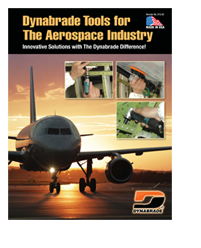 At every workstation in your facility, there is a need to "Discover the Dynabrade Difference." 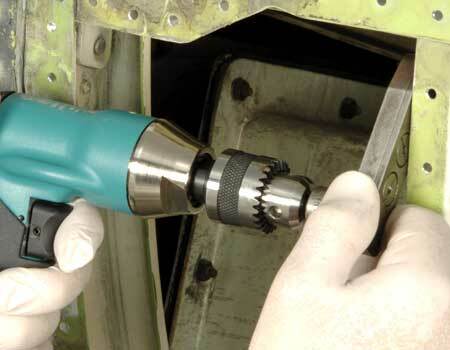 Every aircraft technician must have a Dynabrade Die Grinder! 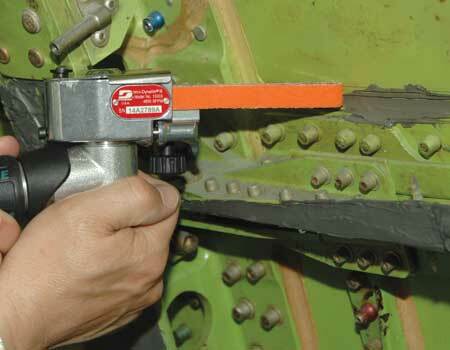 Models offered in angle-head, straight-line, 7° offset and right angle configurations, which each include 1/4" and 6 mm collets. Air motors are available of .4 hp, .5 hp, .7 hp and 1 hp. 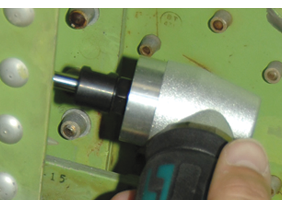 These tools may be utilized for grinding rivets heads and backs, Deburring on honeycomb ring, refurbishing of inner fan case, blending parting lines on cast turbine blades, removal of machine blemishes and more! 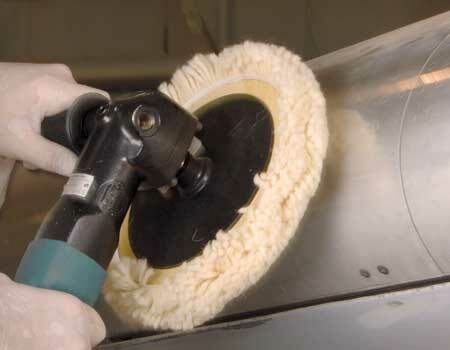 Dynabrade Cut-Off Wheel Tools are utilized to trim, shape and cut honeycomb for composite panels and on other materials. 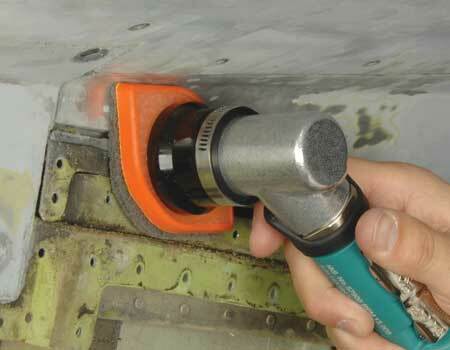 They are also utilized for cutting out corrosion repair in fuselage skins. 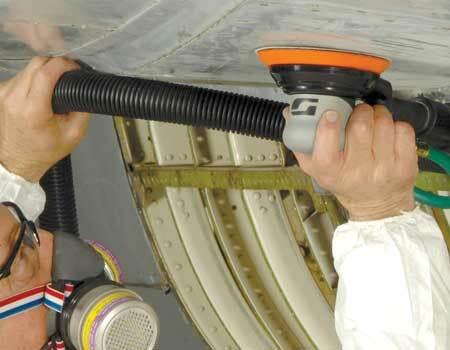 Available in many motors, speeds and configurations, in non-vacuum and vacuum models (shown). 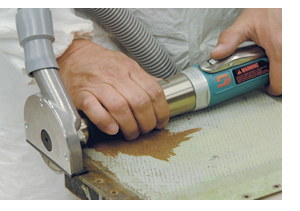 Dynabrade's Surface Preparation Tools are offered in straight-line, right angle and pistol grip configurations. 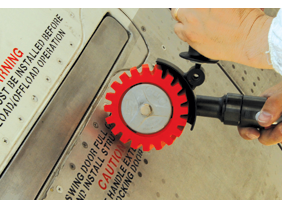 Our unique RED-TRED® Eraser Wheel has serrations for improved cooling and air flow which reduces distortion from heat.